This little book (5½” x 7¼”) is one of those charming turn-of-the-century hybrids that delighted readers in the golden age of illustrated newspapers and monthly magazines. 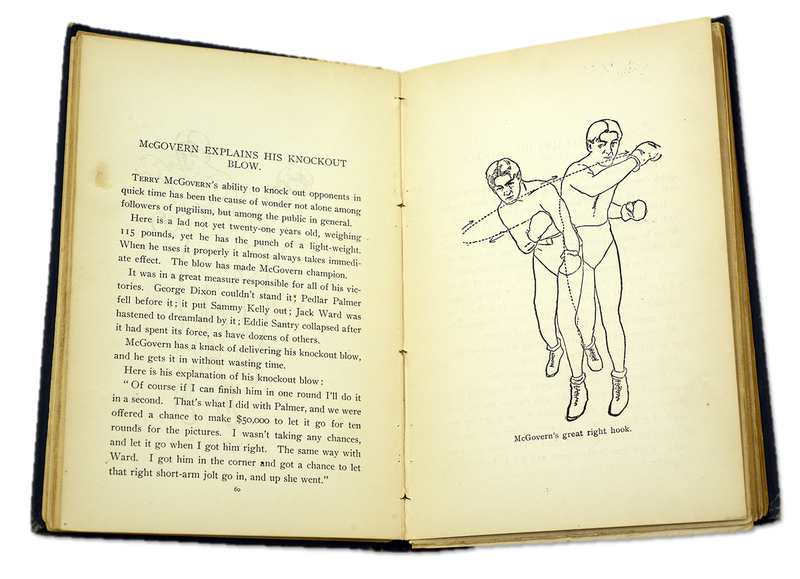 An amalgam of fitness, health, self-defense lessons, exercises and advice, leavened with autobiographical reflections, it comes equipped with simple but elegantly rendered illustrations, diagrams and comic vignettes, by one or more professional newspaper illustrators, and the wit and wisdom of five authors. George Dixon couldn’t stand it; Pedlar Palmer fell before it; it put Sammy Kelly out; Jack Ward was hastened to dreamland by it; Eddie Santry collapsed when it had spent its force, as have dozens of others. In addition to all that, Terrible Terry provides readers with some helpful diagrams for aspiring boxers and a bunch of amusing ink drawings illustrating important events in his life and career. Some months ago, the world at large looked upon me as a back number—a “dead one,” wrecked by high living and altogether unworthy of consideration…. After I lost the championship I went on the road as an actor. Then I opened my saloon in New York. …[N]either of these professions is conducive to perfect physical condition…. 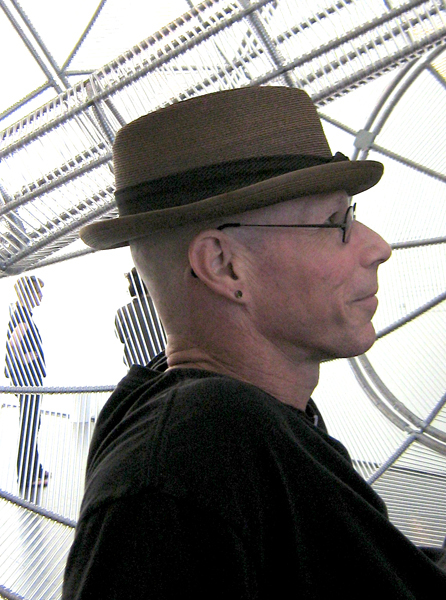 My muscles lacked their old-time size and hardness. My liver and stomach were in a wretched condition. My nerves left much to be desired. But with a strict new diet, rigorous exercise, a boxing routine that included lots of punches on the “eighty-five-pound bag”, and many rounds of sparring with “big Gus Ruhlin…a man of enormous strength”, Gentleman Jim regained his strength and challenged heavyweight champion “Giant” (really only 6’1”) James J. Jeffries. Late in the fight, Gentleman Jim was ahead on all the cards. But was knocked out in the 23rd round. 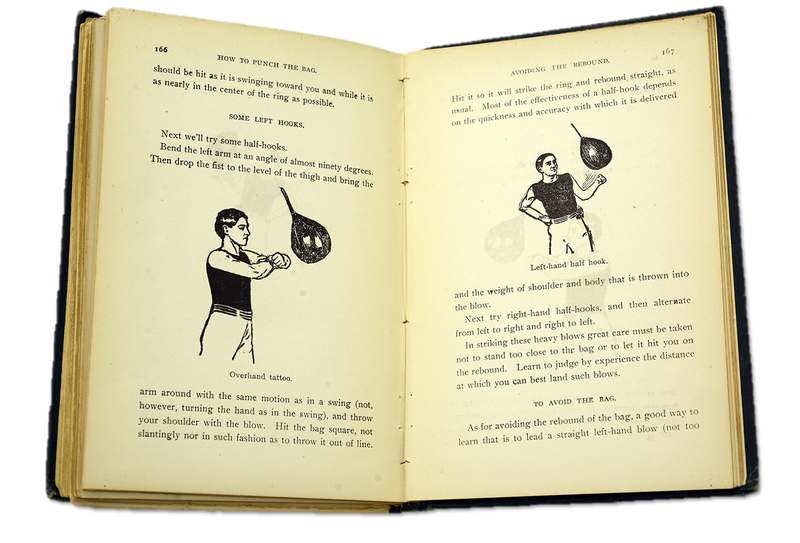 This book is actually still available on several martial arts and boxing websites, but for some reason without the charming illustrations. Which makes it a great deal less charming. But you will want to read it (when we digitize it) (with the illustrations) (which will be soon). So hold out for the authorized National Library of Medicine version. And then get ready to punch someone’s lights out, and become very fit. 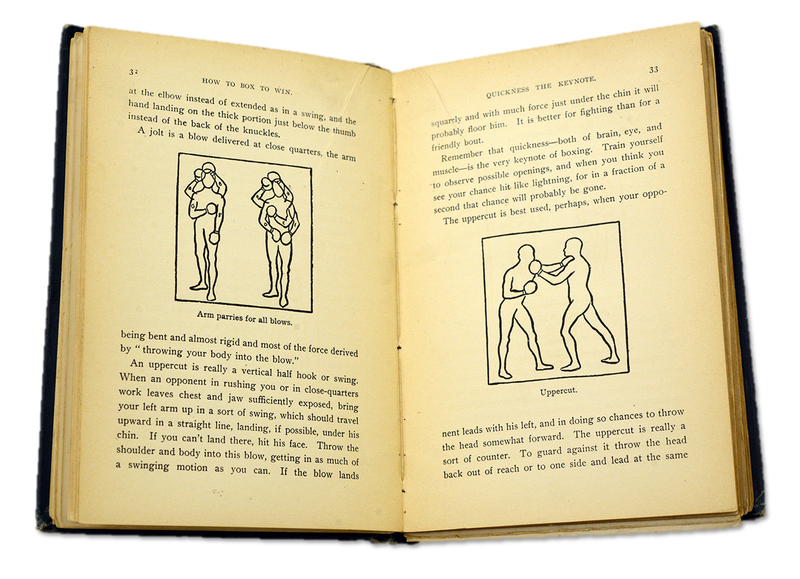 Terry McGovern, James J. Corbett, J. Gardner Smith, MD, Gus E. Keeley and Arthur R. Keeley, How to Box to Win; How to Build Muscle; How to Breathe, Stand, Walk or Run; How to Punch the Bag: A Book of Health and Strength (reprinted by permission of the New York Evening Herald, 1899; New York – London: Rohde & Haskins, 1900); 5½” x 7¼”. 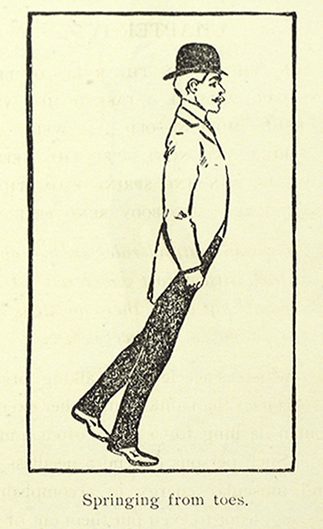 Read other How To… features from the NLM Collections here. Michael Sappol is a historian in the History of Medicine Division of the National Library of Medicine.